While spring used to be a time which was all about vacation, as an adult, the season more represents spring cleaning more than anything else. Keeping your home looking its best and functioning well takes regular cleaning and maintenance. Of course, over the course of time, a range of combination of personal effects and junk begin to clutter up your space until you can’t see your surfaces anymore and your regular cleaning is only just scratching the surface. That’s where your spring clean comes in to give your home and your family a fresh start. If you were to think about it, your vehicle also goes through a fair amount of stress and wear during the year, often without the monthly cleaning or maintenance. 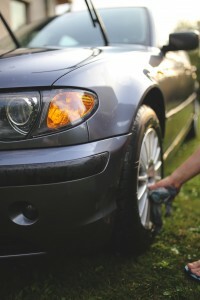 During this year’s spring clean, pay some attention to your vehicle. Vaughan Distributing has prepared some tips which can help get you started. A great place to start is with one of the most important items in your vehicle, yet, also one of the most overlooked by motorists. It’s your battery, and your spring clean is a great time to check its condition. Lifting your hood and performing a visual inspection is enough to know whether or not your battery needs some attention. More often than not, simply wiping away any grime or dirt build up on the terminals and cables is sufficient to keep it in good shape. However, if you can see any problems such as corrosion, now might be the time to get it replaced while you are at home and not in a car park with a trunk full of melting groceries. Even the most advanced engines in cars nowadays require a range of fluids to ensure they can operate both at peak performance, and ongoing. If these fluids are no longer available to your engine then your vehicle’s performance will suffer until your engine eventually stops working. Your owners manual can help you make a checklist of the fluids your vehicle utilizes, which you can use to mark off each one, keeping these points in mind. Instead of cheap fluids, use high-quality alternatives. Flush out and replace the fluid instead of a top up. If any spills occur, clean them up straight away. When you are finished, keep the remaining fluids upright in your trunk. Click here to buy Signature Series 5W-20 Synthetic Motor Oil and, with a synthetic oil change, keep your vehicle in good shape. To find out more about the benefits of a synthetic oil change in Jackson, WY or to place an order, contact a friendly expert at Vaughan Distributing or check out the online store. Take your car out into the sun for the best light and view. Check your wheels for cracks and debris. Check your tires for cracks, punctures, chunks removed, and bald spots. Check the pressure in each tire and adjust is necessary. Seems you are there, why not check on your brakes, too? Your air filter is responsible for keeping pollutants and debris from entering your air intake. However, it can’t do its job forever and, when it becomes clogged, needs to be replaced. And while you likely leave this task for your mechanic, replacing your air filter is very much a task any motorist can do themselves. An online tutorial or your owners manual are the best places to look for instructions for your particular vehicle. If you are hesitant to perform the task, rest assured that removing and replacing an air filter is simple and easily be done at home. Performing the above pieces of maintenance is a great way to keep your vehicle in good shape and working well. Items like a synthetic oil change provide your engine with a fresh start, not only improving performance but also minimizing ongoing damage. To place an order or to request more information about a specific product, contact Vaughan Distributing.